Elevator Project Round 4 is here! Want to contribute? Become an Investor! 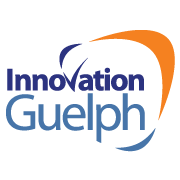 Get the latest and greatest updates and news from Guelph’s community building launchpad. Volunteer with the Elevator Project. The Elevator Project is looking for passionate Guelphites to help support the work of community change makers. Help decide which projects are supported by joining the Community Panel. Past, present, future, all simultaneously and chaotically exploding silently in the recesses of thought where life has been automated into arbitrary and dissociated projections of life experiences. Using improv techniques, together we can harness the power of communal play into concentrated and sustained effort towards shared goals and intentional experiences for character development, skill-building, and alternative economies to emerge. The opportunity for real change is always there, we must learn to say “yes,” to them. Guelph Youth Farm project will be run by and for youth. The Farm will: - be located near downtown Guelph, and modeled after several successful youth farm projects in cities around North America. - operate as a social enterprise growing fresh food for the community; - provide training and employment for youth; - offer solutions to systemic community challenges in lower income and more vulnerable neighborhoods in Guelph, such as the Onward Willow neighbourhood west of the Farm; and, - serve as an outdoor "farm park" space for public events and workshops. Getting commitment is the first step to make Guelph a 100% Renewable Energy city. Around the world over 1,000 communities have already done it. Now it's time for Guelph. This project will target specific demographics of individuals, businesses, institutions and the city to commit to a 100% Renewable Energy goal. Getting there will drive investment, create jobs, save money and improve the environment. Guelph will be healthier, our economy more resilient and it will help us fight climate change. A 100% Renewable Energy commitment lays the groundwork for a multi-decade plan to achieve this goal. Help The Royal City Roller Girls roll into the future! The Royal City Roller Girl are seeking collaborators to locate, finance and run a 10,000 square foot self-sustained multi-use space in the City of Guelph to hold practices and games. This space could also be used by other groups limited by the dearth of recreation space in Guelph. Established in 2010 our skater-run league is led by a skilled and passionate board of directors and now includes five teams made up of 70 skaters, 25 officials and a new youth program. In 2017 our five teams will participate in 22 games and 4 tournaments from Guelph to Chicago. Food insecurity is a serious problem affecting over 1 in 6 households in Guelph. The Guelph Food Bank’s role in fighting this problem is critical. However, a lack of funding strongly limits its impact in our community. Feed it Forward's aim is to provide those funds by creating a fundraising and educational system involving high school students. We will form specialized high school clubs in Centennial College and Ross Vocational Institute. Its members will then design and carry out fundraising campaigns with the Food Bank, allowing them to gain leadership skills and required volunteer hours. Quiet on set! Ed Video sound proofs! Ed Video is embarking on an adventure to create an arts hub at 404 York Road. The first step is to create an appropriate sound proof space for our organization that includes a larger teaching space and a multi-purpose bookable sound proof room that can be used for shooting video and for community events and workshops. We are looking for funds to pay a consultant to help us make these changes consistently with the future purpose of the building in mind, and to support the purchase of materials. Bruise Bar is a social food enterprise that repurposes unwanted produce on a production and retail level into healthy, affordable snacks. We will have an educational campaign throughout our business raising awareness on food waste, aiming to change the perception and behaviour of consumers. Ultimately removing the stigma of ugly produce. We will be sourcing our produce from the ugly or unwanted produce from grocery stores or farms to help divert large amounts of food that would otherwise be wasted. “I am awed by the power of dance to transform and alleviate pain.” Park’n Dance has established weekly dance classes for people with Parkinson’s in Guelph. Research demonstrates that these dance sequences help boost quality of life as well as provide opportunity to improve balance, gait, memory, coordination, cognition, self-expression and confidence. Frequency of practice provides residual benefits. We plan to develop a video/DVD with a choice of dance exercises and sequences guided by instructors of Park’n Dance and enhanced by live music, in order to provide people with Parkinson’s an opportunity for pleasurable and health-enhancing home practice. COMING FULL CIRCLE, a creative peer-driven initiative… is a grass-roots, peer-driven, facilitated initiative for people who identify as having a lived experience of mental health issues and addictions. This unique concept will encompass participant’s interests and ideas whereby a multitude of creative & interactive workshops will engage and inspire those who wish to benefit from healing/growth/empowerment in a safe environment. Who cares about the Eastview Landfill? ReMediate brings together artist Christina Kingsbury, writer Anna Bowen, and Pollination Guelph to create a massive quilt for the Eastview Landfill site. The first 2000sqft of the quilt, handmade from paper embedded with native seeds, was sewn together with public participation. It is now biodegrading and becoming a living habitat for threatened pollinators. 2017 will see the continued expansion of the quilt, the planting of trees and shrubs for pollinator shelter and spring forage, the installation of two sculptures on site that will serve as bench for the public and an arbour for climbing plants, and a Native Bee House-making workshop. 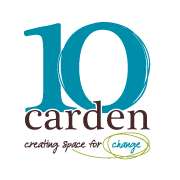 We are seeking cash or in-kind materials for the garden and sculptures and funds for building sculptures and hosting the workshop. “EZ Health” is a project focusing on promoting personal and community wellbeing. We are a group of medical professionals in Arkell Medical Centre. In response to the high risk of chronic problems such as diabetes in 6000 -8000 Chinese in Guelph, we regularly organize health education events and free health assessment to help Chinese access the health care resources. Our activities have had encouragement from all aspects. In order to support our community on a daily basis, we will promote more services on line and in person. We need your support. Together, let's make our community healthier and stronger! The #1 reason you’d have the opportunity to use physical first-aid is on a person having an out-of-hospital cardiac arrest. However, you’re 4 times more likely to meet someone who will attempt suicide. Suicide IS preventable through training and compassion. The impact of suicide is far reaching. Just like with physical first-aid, suicide first-aid saves lives. Also like physical first-aid a broad demographic can, and should, be trained in suicide first-aid. We want to make suicide first-aid trainings available and affordable in Guelph. Together we can build a suicide-safer community. Many community members that access HOPE House have requested accessible trauma therapy available to low income community members who have experienced multiple losses and traumatic experiences. For community members of low income, this can be detrimental to their progress towards bridging out of poverty and a sustainable way of living. Through an expressive art and community approach, we believe that we can come together to work through these traumas, and move towards a healthier lifestyle. Sidewalk Talk. You talk, I listen! The intention is to create the psychological space inside the urban space for talking and listening to one another, to heal whatever it is that divides us…be it race, economics, gender, sexuality, vocation, religion, ability etc. etc. Listening without judgment and 'fix it' mentality. Volunteers are recruited and trained to listen, identify need and provide connections to services available in the community. Two chairs, a sign and resource materials in hand will help connect people to their community. Portal Dance Project's Broken is a multi-media art work which hopes to stimulate the Guelph community through a shared performance event at the Ackers Space. It is PDP's hope to animate the new Ackers space with a project that is rich in impact but that also helps provide internal and community dialogue regarding a topic which affects us all in many different ways. 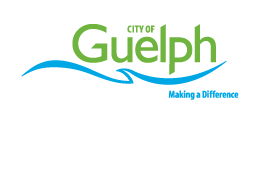 Guelph is a role model for environmentally friendly actions for Canada. As people move away from disposable materialism, the future will demand more sharing of communal goods in centrally managed hubs, and public repair and creation facilities. We are proactively preparing for this with the Guelph Tool Library, our Repair Cafes, and a proposed makerspace. We have established the tool library and the repair cafes, and now it is time to expand our educational component with a makerspace by either building one or partnering with DiYode. Negotiating our way forward will require some short term support. We often see people sitting on the street corners asking for spare change, or get impatient while waiting for someone to communicate their thoughts in broken English. In those moments, the minor interruption in our regular routine inflicts feelings of annoyance, and we fail to recognize the reality of the humanity right in front of our eyes. For many, these realities are in our community but somehow, we don’t see it. We hope to educate and inspire the Guelph community through a mini-series documentary highlighting the struggles and challenges that newcomers to Canada face, and those experiencing poverty in Guelph. 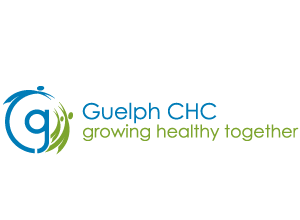 Community Health Connect is a pilot project of the Guelph Community Health Centre, staffed by volunteers who help people connect with the resources they need to be healthy. Volunteers greet participants with a smile, provide them with warm coffee or tea, and ask what they can do to help. They listen to find out what resources people need and then help them connect with them. This can include searching on-line resource data bases, completing necessary paperwork, making phone calls, providing directions, following up with people to make sure their needs have been met, and/or providing a warm handoff to the appropiate service provider. The purpose of this project is to promote the understanding of our diverse cultures, diversity and equity, and diversity and inclusiveness through media arts. We would like to achieve this purpose by producing a video documentary based on the interviews with our diverse community members. It is our belief that when people are informed of the differences among different cultural groups, it will help reduce the cultural misunderstandings. For this reason, we believe this project and your support has the potential to help enable the equal participation of all members of the society and, therefore, to benefit the whole community. Immigrant Services – Guelph Wellington wants to launch a refugee and newcomer youth driven social enterprise group called Azadi Youth Productions as a vehicle for youth to share their stories; learn new skills; help build an inclusive Guelph through community education; and enrich our cultural landscape. Azadi means freedom in Persian and the group will work on arts multi-disciplinary productions that speak to the concepts of peace-building and what it means to live in freedom. Members of vulnerable populations (low income, chronic illness, seniors) suffer from lack of access to good quality and nutritious food. We would like to organize Community Cookouts to involve community members in preparing foods grown in the garden. We will consume meals together to further form connections and build stronger, resilient communities. By having delicious snacks and drinks available, we hope to refuel existing and attract new community garden volunteers. We will provide shade in which to take a break. It is our hope that neighbours will continue this tradition and use community gardens as gathering places. Parents complain that their children are no longer engaged with the outside world. Technology has led to withdrawn individuals divorced from external interactions. Alright then, let's make the external world a bit more interesting, spontaneous, joyful, and fun. Let's generate flash mob approaches to art and dialogue. Let hikers see distant images of performance art or musical recitals or dance through the trees. Allow fine artists to physically paint parts of the landscape. And let academics and intellectuals freely discuss ideas to those wishing to participate. The idea is to create a delivery system for the public of guelph, to access good, healthy, food, while avoiding the stigma of going to the food bank, when 75% don’t access it already. To do it would be to get food as cheaply possible, scaled to needs of the population according to a food security index. Providing healthy food at discounted rates to different levels of food security. Lastly, making it a sustainable system that serves all people. Mental Health support is a basic human right that needs to be accessible, affordable, effective, and flexible. A Guelph Wellington-based virtual Mental Health For All system will solve issues such as increased suicide rates, hospital admissions and employee sick time. Services need to be given as long as the person wants them and senses a need for support. The provider needs to be consistent, caring, solution focused and well supervised. The Career Education Council in collaboration with local community partners will launch "Try on a Career Week" as a platform to generate inspiration for youth to consider local opportunities to pursue meaningful employment and fulfilling careers. In our first year, this project will include direct coordination of career events for 10 schools/2000+ students who will experience touch points with inspiring local career representatives! Through facilitated mini-events, students will explore careers and gain valuable insights to help with future decisions about education, training and employment. Upon request, we will also provide resources, ideas and connections to guest speakers for additional schools. The Living Food Box project is a simple, portable and creative teaching tool to demonstrate to a wide variety of populations how to grow their own food. Since there is acknowledged agreement from teachers and support workers that improving access to fresh locally grown food will improve the nutrition and physical wellbeing status of marginalized populations. They have identified this project as a priority in our community, and will help support their goals. Up and Running Guelph is a new, non-competitive, beginner running program that harnesses the power of outdoor exercise and peer support to provide a boost for women managing their mental health. Led by a team of volunteer coaches and running mentors, with guidance from a community advisory board, the program was launched in September 2016, and recently expanded to meet a growing demand. We’re looking for support to build our capacity and broaden our reach so we can give more people in Guelph the chance to discover the mental health benefits of outdoor activity. There is a disconnect in Guelph and Wellington County between employers who are trying to fill positions and keep employees, and immigrants who are underemployed for their level of skills and experience. This project will connect with local businesses who have already figured out what works for hiring local immigrants and international talent in Guelph and Wellington. We will create tip sheets that will summarize their existing best practices and make it easier for businesses to tap into this workforce. The established networks and recently launched business award program of the Guelph Wellington Local Immigration Partnership make us perfectly positioned to carry out this work. The idea around which the project revolves is the building in open settings of flush toilets and/or toilets other than non-flush toilets that release the solid and liquid waste for the growth of plants and fish within an enclosed environment. The project will lead to many benefits for Guelph and eventually for the entire universe through increased revenue, businesses and jobs, as well as a healthy environment. The Golden Bus is a mobile collaborative arts space built out of an ex-transit bus. We can be a recording studio, small concert venue, and/or host zine fairs, small-scale publication and album manufacturing, film screenings, traveling thrift store, and so many other amazing things! Portable and affordable, we will work with Guelph artists and organizations to co-present awesome events...anywhere! Already we have partnered with the Guelph Film Festival, Ed Video, Kazoo Fest, The Guelph Comedy Festival, and MADE: Urban Arts. We are looking for funding to support a concert series that will promote local, emerging, and youth artists, as well as long and short-term parking options. resources such as funding, materials, advice and expertise that will bring these ideas to life.